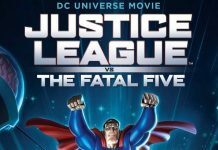 DC's First ELSEWORLDS Tale Brought To Animated Life...Kinda! 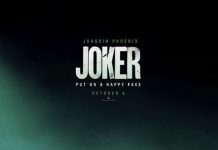 SYNOPSIS: The Batman prows the streets of late 1800s-era Gotham City to find the elusive serial killer only known as “Jack the Ripper.” Based on the first, and classic, DC Comics ELSEWORLDS graphic novel. Batman: Gotham by Gaslight is the latest film in the DC Universe Animated Original Movies line and it might have just claimed the top spot on the list. I have not enjoyed an animated Bat-film this much since The Dark Knight Returns. Keep in mind this is as loose as a loose adaptation can be. This is not anything close to what we saw from Batman: Year One or The Dark Knight Returns, as Gotham by Gaslight is very much it’s own thing. Visually, this looks very much like the Gotham by Gaslight “Elseworlds” graphic novel brought to us by Brian Augustyn and Michael Mignola. The story is essentially the same at its core – Batman vs. Jack the Ripper. However, all that has been changed/added is done to perfection – with various winks and nods to the history of the Dark Knight. The reimagining of Leslie Thompkins, Selena Kyle, Hugo Strange and Harvey Dent were incredibly refreshing. Screenwriter Jim Krieg may have given us the greatest “foreshadowing” to Two-Face in this history of the character. The appearances of the “Robins” put a humongous grin on my face and were done in a very “Nolan” way. The voice cast was truly tremendous lead by Bruce Greenwood and Jennifer Carpenter’s Bruce Wayne/Batman and Selina Kyle respectively. Carpenter really nails Selina’s attitude, grace and independence. Bruce Greenwood’s Bruce Wayne really stole the show. I love having Greenwood back in the role; his voice is more along the lines of Michael Keaton’s portrayal. The tone of his voice is calming and confident, totally the Bruce Wayne I envision in my head, while his Batman is just a bit more stern and direct. Greenwood and Carpenter have breathtaking chemistry and are a joy when paired on screen. Hitting at the right time with all positive response to what Tom King is currently doing in BATMAN, this is just as delightful to watch unfold. 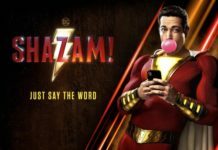 The animation is top notch, the style of the characters, their clothes, haircuts, the architecture and interiors of buildings all a pleasure to look at. 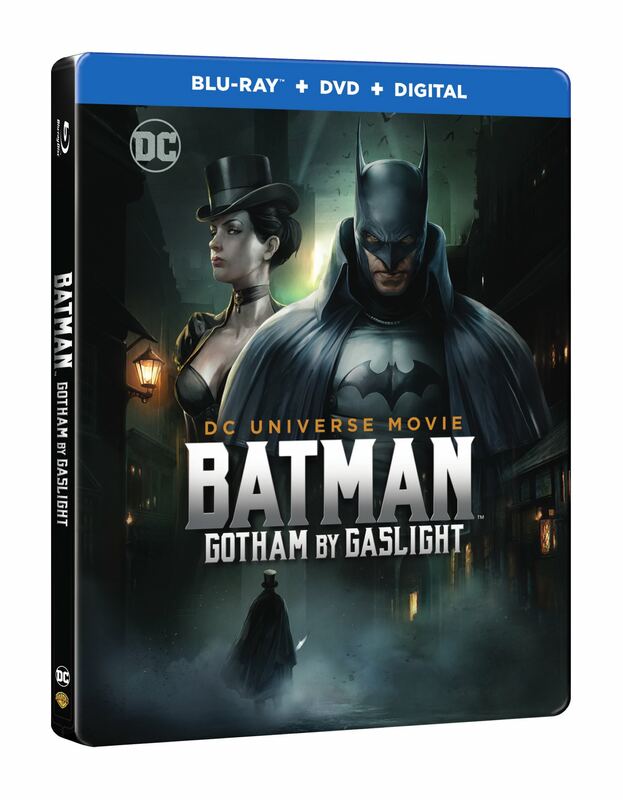 While some DC animated films try to mimic the artwork of the book exactly, but not Gotham by Gaslight. Just like the story, the animation is its own thing. You watch this and you see the inspiration of old England, time and setting is cleaner and more streamlined, if you will. 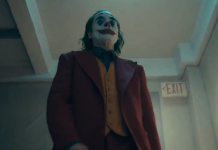 The action scenes were fantastic as well, the first Batman/Ripper fight was brutal and the fact that it was held in a slaughterhouse was tremendous. The Batman’s first appearance, blimp fight, Batman on the run, and the climax were stunning. I can’t get the silhouettes of Batman chasing the Ripper on the rooftops of Gotham out of my head – truly beautiful! 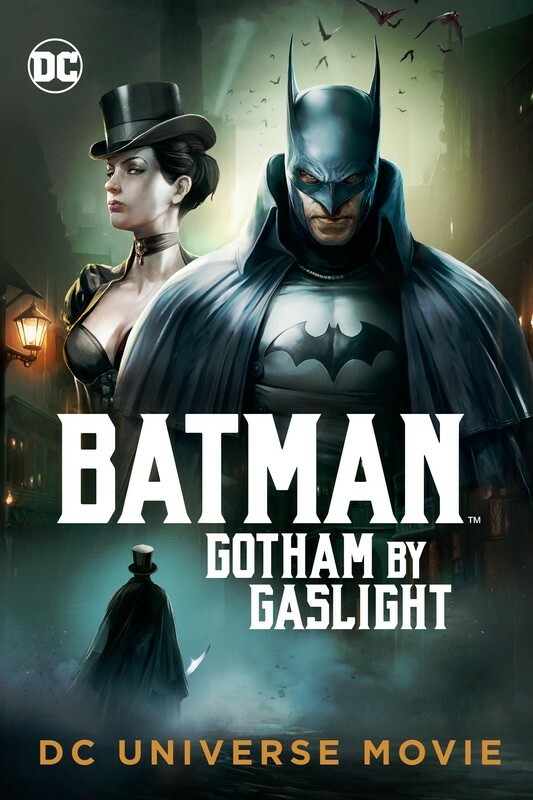 As I said previously, this is not the Gotham by Gaslight that you have read (or should read if you haven’t). But, it’s still an Elseworlds tale, just fresh and new. 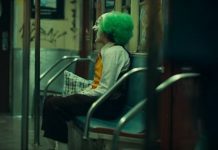 There is something in this film for every Batman fan, nods to BATMAN ’89, The Dark Knight Trilogy are done with such ease and class. Cameos and extended cameos by characters that fit the story and are not crammed in, while reinterpreting a classic. You can enjoy both of these stories while appreciating how different they are.